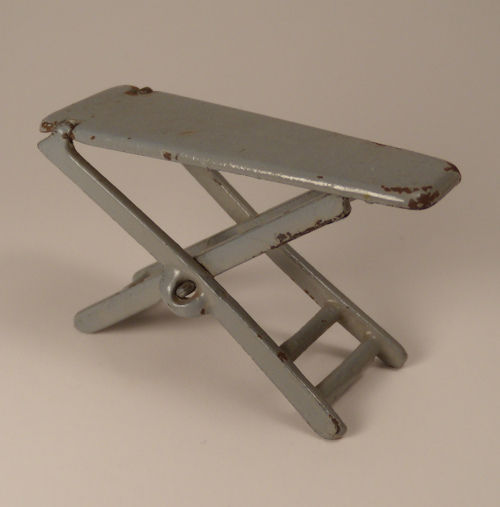 Very nicely made cast iron ironing board enameled in a dove gray, in 3/4" scale. It folds down flat as shown in the photo. It is incised on the bottom, Kilgore. Nice condition with no breaks, there is a bit of wear on the paint, mostly at the corners. Lenght: 3 1/4". Height: 2 1/8". Can be positioned in 3 different heights, 2 1/8" being the tallest. Made in U.S., 1920's. 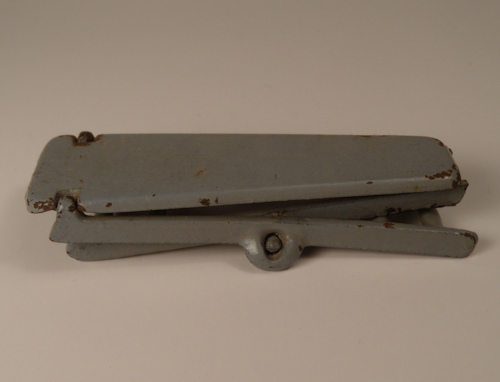 I am interested in purchasing Kilgore Folding Ironing Board 3/4" Scale.